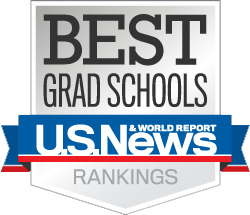 According to the 2019 (but released in March 2018) U.S. News and World Report rankings of graduate programs, GW's Trachtenberg School of Public Policy & Public Administration is still the highest ranked public affairs school in D.C., Maryland and Virginia. In this ranking of overall school and programs of public policy and public administration, the Trachtenberg School is tied for 14th. Additionally, the Trachtenberg School was ranked by peers in five specialty areas. The school is tied for 11th is Health Policy and Management, 13th in Public Policy Analysis, tied for 13th in Public Management and Leadership, tied for 17th in Nonprofit Management and 19th in Public Finance and Budgeting.